A gift of wine always impresses. Make double the statement with this 1.5 liter bottle presented in a handsome extra large wooden box. Slide open the lid and you’ll find a shelf on top with room for chocolate truffles and hamentaschen. 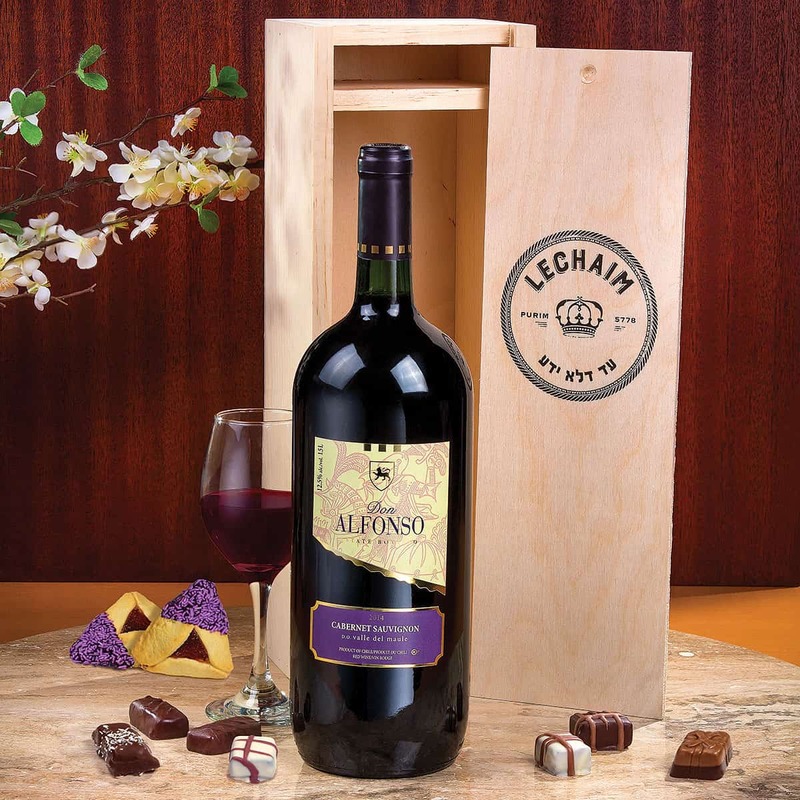 Great taste and great looks make this a perfect Purim gift.